Alpine Blooms is Mansfields original florist. We can deliver fresh floral arrangements, gift & gourmet hampers, living plants & much more, for all occasions, across the Mansfield Shire , Murrindindi Shire & as a member of Interflora, worldwide. Alpine Blooms also stocks the largest range of teddy bears in Mansfield. Offering a bespoke service we can also create gorgeous bouquets & reception flowers for your Wedding & other special events. Phone orders are welcome & we pride ourselves in both our floristry & service. Phone Lisa, a fully qualified & experienced florist to discuss your requirements today – we are always happy to help. At Alpine Glass and Glazing we manufacture all own doors and windows. All our products comply with the Australian Safety Codes. Our manufacturing and fabrications cover all domestic and commercial situations: custom windows and doors, glazing for new buildings, renovations, extensions and shop fronts. Our kitchen and bathroom splash backs, and shower screens are available in a variety of colors and designs. and any other glass requirements. Our prices are competitive with Melbourne prices. Our workmanship is high quality and excellent value. Whether you require one window or door, or a house lot, we can give you an obligation-free quote. The team at Alpine Glass and Glazing are construction professionals, dedicated to ensuring that the best service and finish are given to your job. Talk to Alan about your renovation, remodel, new construction or repair requirements. He has a wealth of experience in his field and holds a widespread reputation as a caulking expert. Township or rural residence, holiday home, farm, commercial, business, investment or industrial property – we can help it look its best. We can tidy, reshape, resurrect and perform makeovers on your garden – see below. based in the Mansfield area, in the High Country of northeast Victoria, Australia. Call us about your requirements. Providing TV reception all over the Mansfield district, ranging from Jamieson to Swanpool, Alexandra to Tolmie and beyond. With over 10 years experience servicing the local area, we can give you the right advice and give you quality reception that will last. Most areas recieve free to air antenna signal OK, however there are a number of black spot areas. These areas will require the “VAST” free to air satellite service via a satellite dish installation. We also install FM radio Antennas. We can fit TV wall mounts, as well as install and tune your new TV. We can pre-cable new homes and extra points as required. So for prompt service and all your TV reception needs call Tas on 0438 544 081. And click here to find out how to avoid loosing up to 25% of power from your solar panels. For all your painting and plaster needs in the Mansfield – Mt Buller Stirling – Lake Eildon area – north east Victoria. Wherever there is a building or renovating job to be done, commercial or domestic projects. Complete range of quality accessories and all the things you need for a perfect finish. • A huge range of plaster and plastering accessories for the professional tradesman, handyman or DIYer. By appointment for inspections, samples and carpet quotes. Mobile carpet sales van can be arranged for an onsite inspection and selection. • Preferred contractor for insurance restoration and clean ups. Celebrate all those Life milestones. in the Mansfield area, High Country of north eastern Victoria. Make your special celebration a memorable one. CleanSport utilises the Esporta Wash system which is clinically proven to remove contaminants and ensure the highest level of hygiene and safety. We will take care of your summer and winter combos and rugs. Regular cleaning and sanitizing equestrian equipment is important to the health of horse and rider. Our day spa, located a short distance from Mansfield’s CBD, offers 5-star luxurious body treatments and regular beauty services to the Mansfield area. Ask about our Gift Vouchers and Pamper Packages – something special for someone special. See our website for more details of the professional beauty services available at our salon that will rejuvenate your skin and spirit. • Property water damage recovery in Alpine areas. Water Damage Recovery is the preferred contractor for insurance restoration and clean ups. See our website for more details about our services and what to do in an emergency. If you need pest control Mansfield based services, the last thing you want to do is cut corners. You want to be sure that the pests are gone for good. This is why you need Economic Pest Control; their team is highly trained, and they have an excellent reputation in the industry. Give them a call to get started. If you are looking to improve your rural property give Farming For Profit a call to discuss your options & costs. · Pasture report and plan. Tractor – for blade work, discing, ripping, scarifying, slashing and seeding for weed control, pasture restoration, crops, stock. based in the Mansfield area, in the High Country of north-east Victoria, Australia. – the waterways of Lake Eildon, the Goulburn River High Country Rail Trail and the winter snowfields of Mt Buller Stirling. Marriage is an important commitment, a personal investment in a relationship which gives love as well as strength and support. I have an innate sense of what matters to individuals. I will work with you to create everlasting memories of your special occasion. G&H Electrics is a small electrical contracting company with a long established history in the delivery of all electrical, computer and communications services. We are committed to staying at the forefront of emerging technologies and practices, and have a proven record in computer and telecommunications. With a sound background in electrical installation and maintenance, you can be confident in any work done by G&H Electrics. From the installation of the simplest power point to complex projects including new homes or renovations, G&H Electrics provides personalised, professional and up to the minute solutions. You can be assured that the service and advice you receive from G&H is correct, comprehensive and current. G & H Electrics – electrician, electronics service tradesperson, based in Mansfield, in the High Country of north-east Victoria, Australia. From Melbourne CBD based origins G&H Electrics has migrated to rural operations while maintaining a strong network of industry colleagues throughout Melbourne and country areas. Through continued training and experience, you can be sure you’re getting the latest information, skills and best practice available. in the Mansfield area, north-east Victoria. Why not give me a call? I welcome the opportunity to talk with you about the significant occasion in your life that you would like to observe with a unique celebration. Honest, professional, reliable and friendly service for all your home and building maintenance needs. Serving the Shire of Mansfield Vic, from Bonnie Doon to Mt Buller, Tolmie to Kevington. Experienced carpenter / handyman since 2001 – London, Paris, and now in Mansfield since 2008. 3 – Garage conversion to kids’ rumpus room. 5 – Total unit refurbishment; walls plastered, new bathroom, new kitchen, tiled floor, cupboards re-built. 7 – Verandah and deck extension to garage conversion. Call me to talk about your home makeover..
part of the High Country of north-east Victoria Australia. provides cleaning and lawn mowing services that will keep your property in tiptop shape. Saves you the hassle of doing the work yourself and gives you more free time to do other things. These are done using high quality mowers and commercial grade tools to give your lawn that even, professional finish. Catering to both domestic and commercial markets in Mansfield and the surrounding areas, HELP Property Maintenance & Cleaning can lend a hand whether you want just a little help around the house or you need to clean up after moving out, renovating or constructing your property. • On-site auto electrician, servicing vehicles, machinery, trucks, agricultural and farm equipment in the Mansfield Vic area. Right in the heart of Mansfield, gateway to Mt Buller, Mt Stirling, Lake Eildon and the legendary High Country. Our park offers lovely shaded sites, a short walk to the Visitor Information Centre, Goulburn River High Country Rail Trail, Mullum wetlands area, bus depot, main street shops, restaurants and pubs, and sports facilities. • 2 bedroom spa cottages with full kitchen, large living area, large deck with private BBQ. or visit Craigs Hut and Powers Lookout. Mansfield Mt Buller area – domestic, commercial and industrial – affiliated with Mansfield Plumbing. Come and browse our extensive showroom. We are the exclusive stockists for Hitachi Hi Wall Inverter split and ducted systems. We also stock Mitsubishi Heavy Industries, Dakin, Fujitsu and Braemar evaporative cooling systems. Eureka, Coonara, Heat Charm, Arrow, Masport, Osburn and Logaire. Being affiliated with Mansfield Plumbing means we can quote and install too! Spring means time to clean both your air-conditioning filters and your wood fire flues. Mansfield Hot n Cold stocks everything you need, from chimney brushes to specialist glass cleaners. Don’t forget your air-conditioning filters; they need cleaning every few months to keep them in top condition. Cleaning not only improves the air you breathe but the efficiency of the system too! See our website for our full range of spare parts and accessories. See Mansfield Plumbing and Mansfield Backhoe and Excavator Hire for more of our one-stop plumbing and gas services. I provide a full assessment of posture and/or injury prior to treatment, to ensure the maximum healing benefit from your session is achieved. based in Mansfield, in the High Country of north-east Victoria, Australia. For residential, domestic, commercial and industrial situations, Mansfield area, north east Victoria and beyond. highlighting garden and access areas. Stone, brick and cement paving for outdoor play and relaxation areas. We create fabulous paths, patios, entertainment terraces, driveways and grand entrances. For low maintenance and increased accessibility, as well as aesthetic value. … a special place to retreat to. See our large range of elegant fashion accessories and gifts to suit all occasions. Here’s the brands to look out for! Scarves – Pashmina, Angora, silk. New clients – by appointment with manager. Tenants – as they choose, using personal key. – taking the overflow from home when you don’t have a shed. – holiday families to store fishing or boating gear, snow skiing equipment, motorbikes etc. Save bringing these items up on each visit to the Mansfield area. Boat and caravan storage available at $39 per calendar month – within the locked grounds of the storage units. Not yet available under cover, it is a price too good to turn down. – lights for safety and flexible access hours. Mansfield Accounting and Taxation is part of the Mansfield Professional Group, incorporating Mansfield Legal and Mansfield Insurance. We are your one-stop Professional Services shop. Whether the look you want to achieve is modern or traditional, bright or warm, simple or textural or plain or patterned, you will find the perfect tile – or tile combination – within the range of Elegance wall tiles. View them all, and let your inner designer run free. As durable as they are beautiful, within the stunning range of Elegance floor tiles you will find a design to match your personal style that you know will withstand the rigours for which it is intended. Take a look, be inspired, and express yourself with confidence. The Selkirk Group of Companies has a clear vision – to continue being the leading independent, reliable and efficient manufacturer and supplier of premium quality products and services to the building industry.Established in 1883 by Robert Selkirk, the Selkirk business is proudly family owned, with fourth and fifth generation Selkirk family members still very much involved in driving the business. Today, Selkirk is the largest privately owned brick manufacturer in Australia. Their product range includes premium quality extruded bricks, clay pavers and lightweight panels. Take a closer look and see what you can Build With Selkirk. As always we will continue to offer our out of hours service where possible which includes weekends and public holidays. However there will be occasions where will be out of town and if we are unable to provide you with a contact here in Mansfield we will notify you by means of a text message or email. convenient to the snowfields of Mt Buller Stirling and waterways of Lake Eildon, northeast Victoria. • Open air boat and caravan storage available. • Discounts apply if long term paid in advance. – enjoy freedom to do what you want. Extensive experience in the financial advice industry and working with many clients in all stages of life means that I can help everyone with a financial planning need, whether this entails protection of your assets, building wealth for your future, or planning for retirement. Together we will work on what you wish to achieve, whether it is transitioning to another stage in life, or full retirement. I believe that achieving your goals is not dependent solely on achieving certain investment returns. Taking a disciplined approach and taking advantage of tax effective strategies, or strategies that will maximise Centrelink entitlements, is just as important. Visit our roomy showroom, located a few steps from High Street, and see our high quality products. Free delivery for orders within the Mansfield township. Please refer to our website for a detailed list of products for sale. Planning a party, celebration or special occasion? Our wide range of catering products will make it easier for you to arrange your Birthday, Anniversary, Engagement, Wedding, Renewal of Vows, Christening, Name Giving, Graduation, Confirmation, Farewell, Welcome, House Warming, Special Honour, Naturalisation, Citizenship, Wake or other celebratory function. • products and equipment for cleaning, hygiene and safety. Tikka, Sako, Remington, Howa, Ruger, Marlin, Beretta, Stoeger, Federal, remington, Shimano, Yo-Zuri, Berkley, Sting Lures, Ugly Stick, Tassie Devils, Rapalas, to name a few. We are continually adding new stock each week. Need some clothing or accessories for that weekend in the bush? Look no further. We stock Stoney Creek Hunting Clothing & Equipment, Ridgeline, hunting packs, plus lots, lots more! New modern laundry, card and coin operated in the heart of town. Loads of parking for trailers and caravans and easy access. 9 to 18 kilo washers and and 14-20 kilo dryers. The machine cycles are very quick and the machines are brand new and stainless steel. At Mansfield Massage Therapy, I offer a combination of Therapeutic massage and Relaxation massage. … leaving you totally rejuvenated. I have been giving Relaxation, Therapeutic and Remedial massage treatments since 2003. Call me on 0409 352 221 to book your massage or treatment. Brush cutters, blowers, hedge trimmers. Top quality brands for home, farm, recreation and hobby, work and play. A huge range of hospitality, cleaning, paper, packaging and specialised products – commercial, industrial and domestic grade – for homes and businesses in the Mansfield area, north east Victoria. Industrial Packaging: Adhesive tapes of all types and strength, tape dispensers, packing materials such as bubble wrap, cartons, boxes, plastic bags, pallet wrap, heat sealers and sealing plastic. chef wear, cookware, crockery; bake ware, food storage and wrapping products, containers and dishes for presentation and packaging – ceramic, plastic, wooden, cardboard. Paper products: Wrapping paper, paper bags, carrier bags, serviettes, party requirements, you name it. Cleaning: Powerful detergents, sanitisers, stain removers, disinfectants as well as the equipment to apply them, wipe up the mess and throw out the rubbish. Come and talk to us about your requirements for your business or industry, however specialised. Serving Mansfield area’s residents, businesses, food processors, wineries, primary producers and catering and hospitality industries. Oobidat, a long-established gift shop in the heart of Mansfield, offers you quality items with a difference – decorative, practical, elegant and stylish; for your home, or a gift for someone special. … and lots lots more. Equipment and clothing store for outdoor recreation activities in the Mansfield area, Mt Buller Stirling, Lake Eildon – in the High Country, northeast Victoria. We stock a huge range of equipment, accessories and apparel for outdoor recreation in all seasons. We stock surfwear clothing, workwear, footwear – work boots, Havaianas thongs, gumboots, hiking boots and Sorel for winter. Gear for fishing, camping, trekking, bush walking, water skiing , snow sports, kayaking, hunting, navigation and more. Kayaks for fishing and play boats for touring. Recreation, lake and river touring. Get out and enjoy the area’s lakes and rivers. Top quality brands such as Black Diamond, Coleman, Black Diamond, MSR, Oakley, Dragon sunglasses, Rossi and Redback Boots, RipCurl, Billabong and Rusty surfwear. Sea to Summit, Havaianas thongs, GoPro and a lot lot more! Visit our website for more details and explore our online store. Supercharge, Delkor and Willow batteries. • V belts – a huge range of sizes from auto to truck to heavy equipment, the best range in the Mansfield area. • Warning beacons – easy fit, revolving safety lights for vehicles and machinery. • Machinery hire: 2 excavators, backhoe, post hole borer and small rock breaker, and a jet blaster drain and drain camera. Drain Surgeons will blast away your drainage problems with a high-powered jet of water from its jetblaster, then view the end result. Ideal for cleaning sewers and drains; roof tiles or tin; brick pavers, concrete driveways and pathways; gutters and culvert drains. Dog and cat grooming is not just about the way your pet looks, it’s also about their health and the way they feel. A groomer creates a clean, soft, sweet-smelling companion. and much much more … right in the heart of Mansfield, across the carpark from Mansfield Furniture One/ Betta Home. – dogs, cats, guinea pigs, rabbits, mice, rats, birds (aviary and wild), and tropical and cold water fish. • Quality brand dry and canned foods and treats for cats and dogs, including Blackhawk, Canidae grain free, Advance, Hills Science Diet, Pro Plan, BARF natural food, Vets All Natural. • Clearance sale of Horse riding gear – clothing, helmets, rubber riding boots, grooming aids, leg and hoof protectors, accessories for horse and rider for competiton, showjumping, dressage, trail riding or just for fun. • Quality brand horse rugs and equestrian clothing – Skye Park, Zilco, Horze – details. • Books and reference material. Allow yourself the potential to lead a more fulfilling life, full of love, peace and growth, with the freedom to become the ‘true self’ you agreed to come into this life to be. Spiritual Counselling is a process whereby you are helped to identify the real cause of the issue affecting you, where it began in your life, why it still impacts on you, resulting in negative emotional responses, behaviours or attitudes. Spiritual Counselling is direct, honest and is aimed at establishing change. Hahnemann Healing is an invaluable aid in facilitating the process of change initiated through Spiritual Counselling. on the outskirts of Mansfield township. en route to Goughs Bay, Jamieson, Merrijig and Mt Buller; convenient to Lake Eildon, Bonnie Doon, Merton, Barwite and Tolmie. Need some more room at home? Building a new home and need to store your furniture? Need more storage space for your business? Mansfield Self Storage is for you! Prices range from $115.00 to $230.00 per month. Get a discount if you pay 3 months or more in advance. Call us 0427 113 286 or email us mansfieldstorage@live.com.au for more information. The Mansfield Veterinary Clinic is a mixed practice with a highly trained and qualified team who work together to provide you with the best possible veterinary services. Dr Peter Cullen, Dr Sally Rekers, Dr Jackie Davey, Dr Emily Bull, and nursing staff – Peta, Margie and Rayleen. • Standard veterinary services including vaccinations, desexing and microchipping. • Advanced surgical procedures including orthopaedics, oncology and soft tissue surgery. • Full range of diagnostic equipment, including in-house patholoy, radiology (with digital imaging), ultrasound and soft tissue surgery. • Equine reproductive services including pregnancy diagnosis, insemination and other ultrasound techniques. • A large range of pet foods and pet care products. • Dog Obedience Training and Puppy School. Call us for details 5775 2055. • Grooming – Experienced onsite groomer. Please call us for details. • Boarding Accommodation Facilities for a limited number of boarding animals. – We feel that there is a need for special boarding care, particularly for animals requiring medication. – Our current boarding price is $27.60 per day per dog and $22.10 for cats. – Our kennel room has a range of cage sizes and is equipped with heating and cooling. We also have larger indoor cages for dogs and an indoor ‘cat park’. For fine days, we have outside dog runs. – We will make every effort to have your dog walked for a minimum of half an hour per day. Active cats can make use of the cat park. – All our boarders receive premium quality canned and/or dry food. Special dietary requirements can also be met, and, of course, we specialize in pets who require medications. 8.30-6 Monday to Friday, 9-5 Saturday and 9-12 Sunday (closed public holidays). – An up to date history of vaccinations is required. Minimum C5 for dogs, F3 for cats. See our website for more details of our animal care services. • Dogs – Individual kennel accommodation with enclosed outdoor runs. All dogs require current C5 vaccination. • Cats – Boarding in individual suites; bedding, toys, litter trays supplied. All cats require F3 vaccination. • Certificates / copies must be shown before admittance. • Dog training and dog walking is available at extra cost to boarding. See our website for all details about us, our location, rates and services. The Michindis team offers you the highest quality in hairstyle design and colouring. They know how to make you look your best and will give your hair a real treat. The staff is trained in the most up-to-date techniques in hair styling and treatments. Debs, engagements, weddings and all special occasions or just to treat yourself. Choose from our selection of hair care products, straightening irons and hair grooming aids and accessories. Michindis began in 2002 and retains its excellent reputation for high quality service. See website for more about Mt Buller Plumbing Heating & Gas. We do more than just build your ideal sheds — we make it our business to deliver the best structures for your precise needs. With over 20 years of experience, P.I.G. Constructions has the capacity to supply high quality shed kits, and to design, build, and resolve challenges with customised sheds. Mansfield clients can rest assuredthat we have worked on a wide range of projects all over the north east of Victoria — from Alexandria, Seymour and Yea and onto Albury, Wangarrata, and Sheparton. As proud members of the Building Professionals Board and the Housing Industry Association, you get a guarantee of our commitment to providing only the finest sheds in the market. Whether you need an industrial shed or require a shed kit for your home, P.I.G Constructions can deliver. We provide you with design concepts suitable for any environment and weather condition—and every single one will meet strict Australian standards. With our shed experts looking after every need for your project, we are able to meet specifications to the letter. Pick from our design lineup of industrial sheds, built to withstand the most demanding and extreme conditions. Our farm sheds are designed and built according to Australian standards, giving you sufficient space to work in and store items. Our range of residential sheds will provide you with the extra storage and entertainment area you require. With all of our sheds, we strive to not just keep them functional but also quite attractive. Stress-Free Shed Construction with P.I.G. If permit application is part of the headache that drives your shed construction, we’ll take it off your hands. We can assist and prepare documents needed for Town Planning and Building Permits — so that you have nothing to worry about. Don’t need a full-on shed construction? We still have what you need. With our wide range of shed kits, you will find exactly what you are looking for, from residential shed kits for BBQ covers and shelters to agricultural shed kits to house machinery or feed. Our shed kits, just as our customised sheds, make use of the best materials in the market so expect the same kind of durability and performance from the ready-made structure. We have also designed our shed kits for easy installation. Novice “handymen” can simply go over the instructions and have the shed built in no time at all. We do more than just build sheds. We design, plan, build, and deliver your dream sheds. From industrial to agricultural to residential, call us today for your shed needs and let us do what we do best. Open: 9am – 5pm Monday to Friday. Specialising in all aspects of individual and business accounting and taxation needs. in the Mansfield Vic area. Servicing the Mansfield area, in the High Country of northeast Victoria, gateway to the snow and watersports playgrounds of Mt Buller Stirling and Lake Eildon. With over 10 years experience, Scotty’s Mowing offers professional, reliable service at great rates, and is fully insured. Clean up before the fire season starts and help prevent bushfires. Swags are available for hire. • Bags of any shape or size are made on the premises using Australian canvas, and carry the Australian made logo. Canvas (butcher) blinds and the new PVC blinds. All made to measure using top quality products and very heavy duty zips when required. Fishing: We have doubled our range! • Fully comprehensive range of all your fishing needs, including DVDs, books, and professional gear for amateur and professional fishermen. • Popular book titles, and information on Lake Eildon and Goulburn River. • hay bags, saddle bum bags. The Magnolia Mansfield – Restaurant, Catering and Boutique Bed and Breakfast Accommodation. Magnolia Restaurant is open Thu, Fri and Sat nights offering relaxed formal dining with an a la carte menu of simple classic European dishes using fresh seasonal produce dictating an ever changing menu. During the colder months come and dine by one of our wood fires and in the warmer weather enjoy alfresco dining in the beautiful gardens and surroundings of the Magnolia tree, the perfect place for a wine or beer. Magnolia Catering creates customized solutions to suit any type of event. We cater to a wide range of high country social events, whether you would like to hold a function at your own property, at the Magnolia or any other venue, we can provide catering to suit. Be it a formal three course dinner, degustation, cocktail party, fork & talk, buffet or platter menu, we cater all types of functions in all sorts of settings. 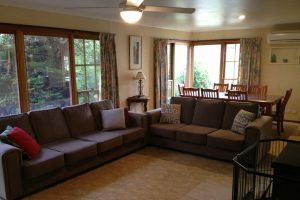 Sports functions, weddings, family gatherings, progressive dinners and major outdoor events, anywhere from your own dining room at home, beside the Jamieson River, in the thick of nature at Sheepyard Flat, and even at Craigs Hut on Mt Stirling. Whether you’re hosting a formal corporate event, lavish birthday party or high country wedding our unmatched flexibility, our can do attitude and attention to detail will ensure the success of your event. Magnolia Bed and Breakfast offers boutique old world grace and charm but with an updated comfort level in each room. In same block as Mansfield HotnCold Shop. Your pool and spa needs at affordable prices. Servicing Mansfield and the surrounding district, including Mt Buller and Lake Eildon. and rural properties in the Mansfield Shire and around Lake Eildon. We specialise in offering a complete service for lodges and holiday homes on Mt Buller and around Lake Eildon. – Gutter and chimney cleaning.